First things first – I love McLaren Vale and the wines she brings, but I also adore wines from the Barossa. I believe the Barossa, Adelaide Hills, Langhorne Creek and McLaren Vale should join forces to promote South Australian wines – after all they are all special. We should break down the barriers between these regions and take on the world as a combined entity. On this basis I was ecstatic when my friend from Collective Barossa (a collective of 3 small Barossa family owned wineries) asked if I was interested in showing McLaren Vale wines of the same varieties as they had in their cellar door. Well, I was so excited I was nearly jumping out of my skin. As the day drew nearer I was actually nervous – with so many questions about how I would go. Early this year I had applied for a job as a part time cellar door person – only to be told that I did not have any experience and thus not suitable. This also increased my self doubt. My lovely Wife and Son came with me and I was also concerned that they may not find stuff to do while I was working. 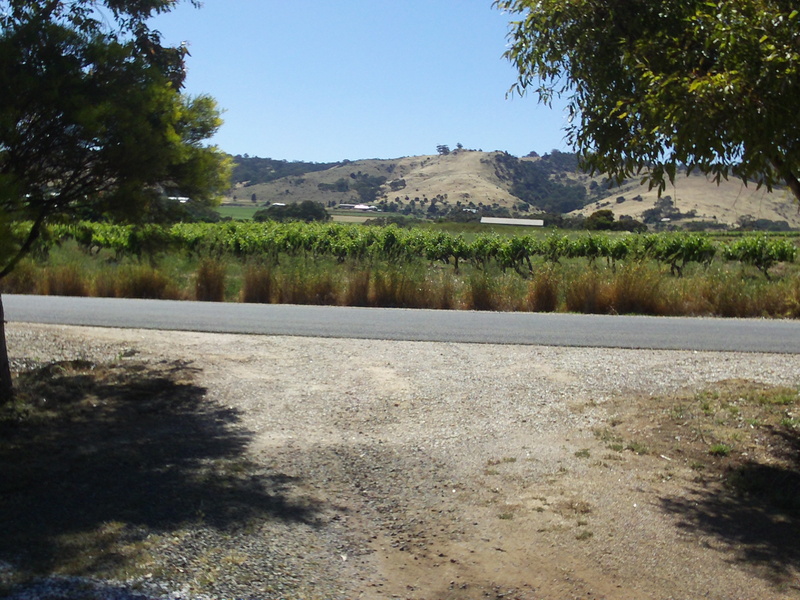 With all this going through my mind we left McLaren Vale and went off to the Barossa – I was so excited. I also promised myself that I would not visit a winery on the way. Late that afternoon I could not stand it – I just had to visit a winery. There was one just around the corner from our Cottage in Bethany. I have always liked Bethany – it is the oldest German settlement in the region and up on the hill one gets an excellent view of the Valley. Then the day of reckoning. The family organised to check out some local attractions and I was moving wine into the Collective Barossa cellar door (Main Street, Tanunda). My host Marie was wonderful and after some coaching on how the handle the money and where things were we were all ready. Over the next 2 days I had a ball. Talking about wine to anybody that would listen and just being passionate about wine and how McLaren Vale and Barossa both make wonderful wines. Sure, I forgot to write down the details of a couple of sales but we worked it out. On the first evening the winemaker for Karra Yerta Wines came and had a chat with us (after the cellar door was closed) and we all had a relaxing couple of hours with good people – and I got to talk about wine some more. I was in my element. The family had a lot of fun shopping, going on a helicopter flight, seeing performing dogs and more shopping. I must have done something right as Marie not only told me I was a natural behind the cellar door tasting bench, but to invite me to come back and do it all over again next year some time. I look forward to it already. The one wine I want to share my tasting notes is from Karra Yerta and is their award winning Eden Valley Riesling. Yum in a glass! I do love really good Riesling – Clare, Eden Valley and South West WA. This one is sensational and shows off what a wonderful variety this is. The aromas are fresh with citrus with hints of flowers and musk. The flavors are crisp lemons and limes (limes dominate on the finish). The thing that strikes me here is the acid – there is lots here, but it is soft acids not those sharp “cut the tongue” that often occurs in young Riesling. I can see a hot summers day and a bottle of this open – food discretionary, the wine is not. This wine will age gracefully, however I cannot see my stash lasting too long. Thanks James & Marie for this beauty. This entry was posted in Mclaren Vale, wine and tagged Australia, Barossa, cellar door, Mclaren Vale, McLaren Vale Wine, Riesling, wine, wine McLaren Vale. Bookmark the permalink. We’ll have to get you up to Langhorne Creek too! Bek – I would love to come over to Langhorne Creek as well. How do we orgainse it?